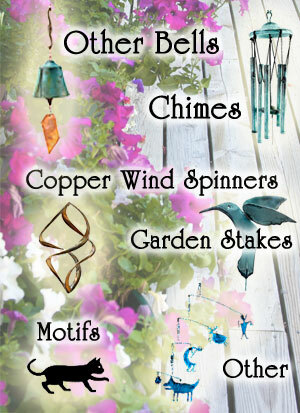 Harmony Hollow hand-crafts fine cast bronze wind bells, chimes, and other outdoor decorative accessories for your backyard or patio. These are ideal gifts for graduation, weddings, retirement, and remembrance. 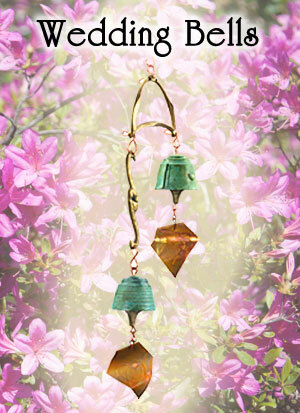 Please browse about for pictures and sounds of our bells, windchimes and other gift ideas. All our products are made in the USA. We offer all levels of shipping speed, next day, 2nd day, 3day, Saturday delivery, etc. Check out the Paradise Camp Fire bell survivors we repaired!